Our membership is made up of our cast, Tech Team and Production Team who are all responsible for putting on the show! 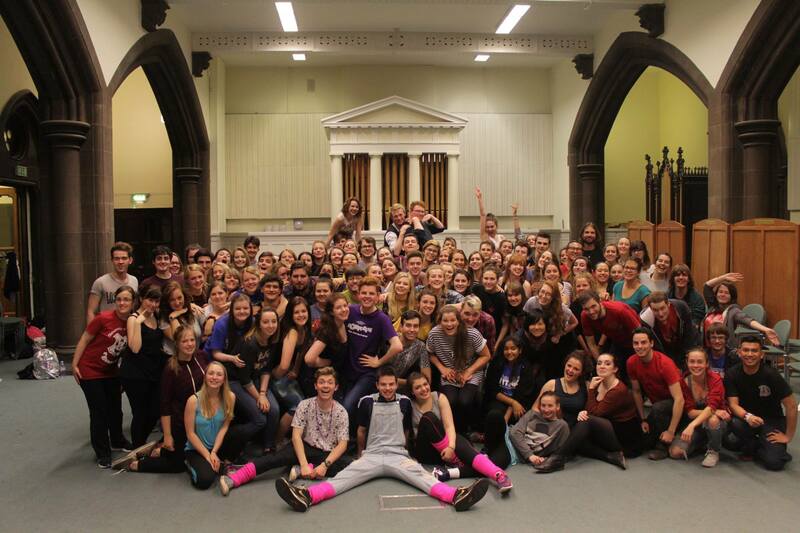 Our cast learn all the singing, dancing and blocking for the shows. It is usually made up of principals, specialists and the chorus. We are proud to have an open chorus policy so even if you don’t audition you are guaranteed to get to perform on-stage! Our Tech Team are in charge of building and painting the set at tech sessions throughout the year. Once Show Week begins, tech help out moving set pieces around during the show and controlling things behind the lighting and sound desk! The Production Team includes the Director, Choreographer, Musical Director, Technical Director and their respective assistants. The PT are in charge of building their vision of the show and teaching it to the cast and Tech Team.